Atlantis probably in the coast of Morocco? Armed with the instructions of the dialogues of Plato, 'Timaeus' and 'Critias', which was written around 330 BC, the historians, archaeologists, and also underwater adventurers trying to find the whereabouts of Atlantis - the glorious ancient metropolis that supposedly perished hit by a wave. Some call was in Spain, the Mediterranean islands, the Sahara Desert, Central America, Antarctica, and even Indonesia. However, so far there is no valid evidence produced. which found in southern Spain. A German computer expert, Michael Hubner claimed to have another hypothesis about Atlantis. According to him, it could be Atlantis just sink for awhile after devastating by tsunami. 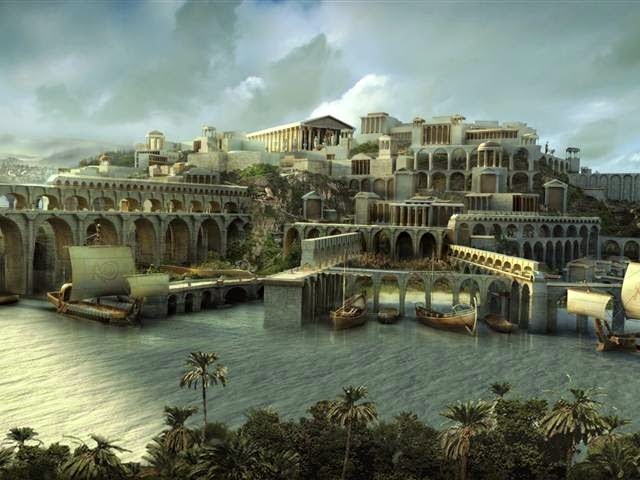 The ancient city was devastated and then re-emerged after the wave receded and returned to the sea. 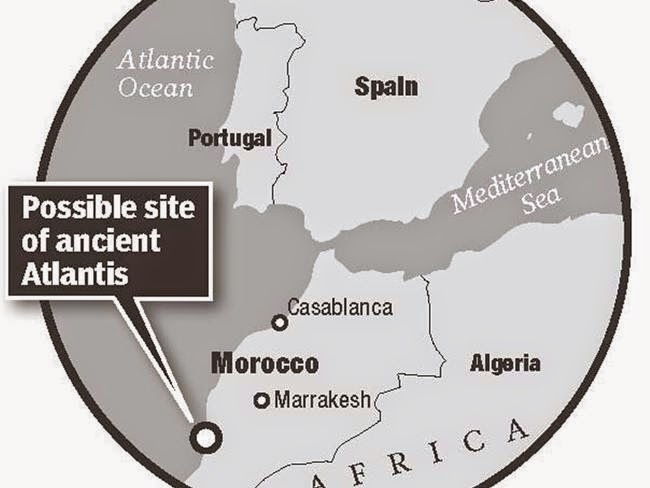 Hubner sure, the Atlantis ruins was not in the ocean but it is land that is located on the coast of Morocco. "Atlantis is not Shangri-La, Fountain of Youth, or the Loch Ness monster. The city was supposedly real - and if there is no reason other amplifier - Greek philosopher Plato wrote it in detail," according to Hubner's opinion, as quoted from News.com.au on Monday, March 16, 2015. "Why Plato wrote down the details of a city if it was not real." Hubner hypothesis noted in a brand-new book titled, "Meet Me in Atlantis' by Mark Adams - who even refer to it as the most plausible theory. Unlike the 'Atlantologists' - Atlantis experts - which directs Adams to Malta, the island of Santorini in Greece and Andalusia in Spain, Hubner theory supports the belief of the author. Hubner, from Bonn, Germany, compiles a number of Atlantis geographic features that drawn from Plato's dialogues, 'Timaeus' and 'Critias' - two writings where the great ancient Greek philosopher describes a magical city and very sophisticated in his day. Hubner then use these attributes, which can total 51 pieces, for statistical analysis in the mapping program. Which includes to 51 characteristic clues of Plato are: location near the sea, beyond the "Pillars of Heracles" - some people believe as Gibraltar, the existence of elephants and mountains on the north side, then the ring-like circular city structure, and the most important clues: the distance approximately 5,000 km from Athens. For distance, Hubner using benchmarks from the farthest location of military operations or conquest of Alexander the Great. The calculations - using Athens as its center - covering the whole European region, the African region which is above the equator, and the Middle East. To find the Atlantis location, Michael Hubner apply the 51 variables into a computer program, using a map that is stacked with a grid of 400 sub-area. The more variables that match the set of geographic coordinates, the more likely it is the position of Atlantis revealed. The most prominent of the 400 plots is the location on the coast of Morocco, which is located about 160 km south of Marrakesh, known as the Souss-Massa plain. In contrast to the other 'prospective inventors', Hubner not choose the location first and then secure it with the theory. But what he did was let the computer generate the GPS coordinates. Then, he bought a plane ticket and fly to the location to see it with his own eyes. After standing at the top of the Atlas Mountains, the German computer programmer finds himself on the edge of a geological depression - slump or sink area - in the countryside, a desert basin which is only 7 miles from the sea and close to the foothills. At the center of the region there is a small mound, together with one of Plato's description, of a city that is shaped like a ring, which in its own land or water that is circular. "Measuring the diameter of the outer ring and the capital of the Atlantic Ocean distance varies about 10 percent of the number that called by Plato," writes Mark Adams related the Hubner findings. "On paper, at least, he produced an interesting finding." One factor in theory Hubner is a giant wave which rolled of the city and killing the entire population. Once again, science seems to support this theory. Tsunami is a natural phenomenon that triggered the earthquake. And Souss-Massa plain is the area with ​​highly seismic risk. For example, an earthquake in 1960 leveled the capital of the Agadir region and causing 15,000 deaths. 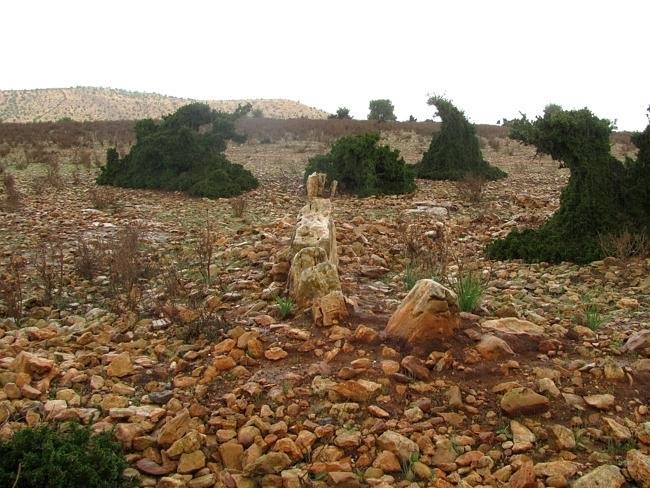 Unfortunately, there is no excavation or historical excavation ever undertaken in Morocco. So it is not known whether the site is a former of Atlantis or another civilization as yet unknown. However, it is not easy to sell claims on the findings of Atlantis. Mark Adams also found a number of weaknesses related to the locations referred to as the former lost city. Including the Hubner theory. The authors ultimately conclude possible explanation of Plato is a mixture of fact and fiction.